If you filed and received a return on your withholdings in the last tax year, it likely engendered a celebratory mood. About 45 million Americans routinely itemize deductions on their returns, and another 92 million use the standard deductions. The good feelings don’t last all year, but all these deductions allow people to keep a significant chunk of their earnings. The bad news is most people end up overpaying. There are several deductions that may not be covered in popular software, and others that just are largely unknown. Though far from comprehensive, the following list of deductions are commonly missed and amount to cash taxpayers could have kept for themselves. Around two of every three taxpayers opt for the easy road of standardized deductions. A $5,700 for singles and $11,400 for couples deduction can seem like plenty when compared to a mound of receipts and rare need to produce accurate records for an audit. 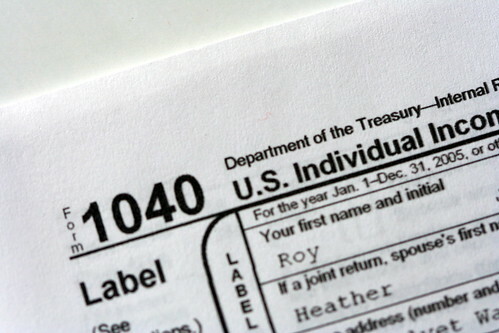 Taking the standard deduction may save you time in filing, but it can also turn out to be a big mistake in the IRS’s favor. Hospital fees and other costs related to medical needs are deductible for some people. In 2010, costs had to exceed 7.5% of adjusted gross income. If you pay large medical bills and have poor coverage or a lapse in coverage, it is worthwhile to investigate this option. When certain costs exceed 2% of your adjusted gross income, they likewise become deductible. Some items covered under the miscellaneous category include dues for professional organizations, costs related to job hunting, business vehicle maintenance, and even professional preparation of taxes. Job hunting deductions include travel, lodging, cabs, employment agency fees, and so on. This is a choice you get to make every year on the federal return. People in areas with high income taxes tend to be best off with the income tax deduction. Other areas will require some record-keeping to know which is best. The IRS does provide a sales tax receipt estimator for smaller purchases, and the valid numbers it produces can be added to the taxes paid on large items, including cars, boats, and homebuilding materials. The huge amount of federal and state gasoline taxes paid at the pump can be partially recouped. Standard deduction rates for mileage in 2010 amounted to 50 cents per mile for business travel, 16.5 cents per mile for moving and medical travel, and 14 cents per mile for charitable trips. In addition to the standard deduction, there are several more available. Student loan interest up to $2500 a year is deductible by the student even if it is paid by their parents. If your first job takes you more than 50 miles from the old home, costs can be deducted, including parking and toll fees. Self-employed individuals traveling on business can deduct baggage fees tacked on by airlines. There are so many deductions available, it is easy to see how they are missed so often. Those with limited time to research the intricacies of tax law should either focus on credits, which are dollar for dollar reductions in owed taxes, or hire a professional preparations service. Remember, tax preparation fees may be deductible! High tax burdens are not a foregone conclusion for the middle class, but paying only your fair share requires knowledge of the code. By showing that a stock had value at the beginning of the year but not at the end of the year, you may qualify for a deduction. Similarly, if you learn your investment became worthless in a prior year, file an amended tax return for that year to claim a refund.